The Internet is a large number of computers spread all over the world and connected together by a variety of either telephone wires, fibreoptic cables or satellite links. These computers, called "Web Servers", are owned by a diverse range of people from large telephone companies to small computer shop owners or enthusiastic "computer buffs". An "Internet Service Provider" (ISP) is someone who owns a web server and makes it available to the general public as a "connecting point" to the Internet. The World Wide Web is the vast collection of data or information (some useful and much of it rubbish) that is available on all the connected web servers. All of this information is presented in a variety of "standard" formats that allow for much of this information to be easily linked to other data and also indexed so that you can view and "search" reasonably easily for exactly what you want. Your Own Website - where it is "physically"
To have a web site on the Internet, the files of data and information (text files and photograph image files) that make up your web pages need to be put on a web server computer (ie not your home computer). The web server "hosts" your files, making them available to anyone browsing the web. When you sign up with an ISP to get access to the internet, most ISP’s will offer you a small amount of "free" space on their web server to host your files as part of their service. For example if you signed up with iPrimus your web address might be www.iprimus.net.au/~users/victoria/yourname. As you can see, this free web site does not have a particularly easy to remember name and if you change ISP’s, then your web site address will also have to change. Also, most free web sites are very limited in the amount of data you can publish and also offer little advance facilities such as database driven pages. We (or you) can register your own domain name, such as www.yourname.com.au. 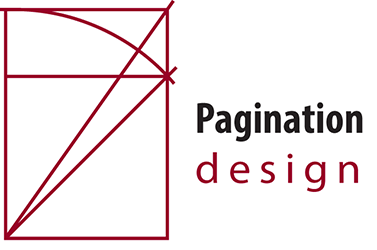 Pagination provides fast and economical website hosting and email serving on our local [Port Melbourne and Geelong] servers through our GeelongWEB division. We have various hosting packages available. If you wish, you can arrange your own hosting through another ISP, we can work with them to install the site. You always "own" the domain name, so if you want to change your hosting ISP at a later date, your domain name is simply moved to the new ISP to be hosted – the domain name would not change. The ISP that hosts your web site does not need to be the same ISP that provides your access to the Internet. We can provide a range of services from designing simple and basic sites to advanced database driven and e-commerce sites. For complete sites the design process involves several stages. This includes the general appearance, the navigation system and the creation of any animated graphics used in any navigation buttons or links. It also includes the creation of a template (or templates) on which all the pages of the site will use. The advantage of a template system is that, to change the overall appearance or navigation system of a site (even if there are hundreds of pages involved) only requires that the template(s) be changed to change the entire site. The actual costs will of course depend on what, and how much material is supplied to us. Transferring well organised Microsoft Word documents to HTML (Web format) pages and applying a template is a fairly simple and inexpensive process. On the other hand it is obviously more time-consuming (and therefore expensive!) if we need to collate and keystroke material. If you want to make regular changes and updates to your site we suggest installing our content management system which allows any of your (authorised) staff to make changes or additions to the site from your own password protected administration/content management page. New pages or sub pages can be added to (or removed from) the menu/navigation system and the page content (including images) can be changed very easily. If you want to sell products from your site, we can provide excellent solutions that enable you to easily maintain your product database online and provide you customers with a 24 hour a day, 7 days and week shopping facility. There are many useful techniques and functions that can be applied to web sites to both gather and distribute information and provide services. These can include database driven pages where large amounts of data can be easily extracted from a database to create a web page "on-the-fly" when required (rather than needing to create many pages in advance just in case they are wanted); Online commerce applications, Chatrooms and message boards where clients/staff spread all over the country can conduct real time conversations; Automatic update areas when you can upload/change/delete files such as newsletter, product sheets etc. As well as general design skills, we can offer all the programming skills to economically create whatever functionality you require. After the initial design and installation, there may be a requirement to make changes/alterations and additions to various areas of the site that can not be made from the administration/content management page. We have all the necessary up-to-date software and techniques to make these updates for you very quickly and economically. We charge ongoing maintenance at an hourly rate, invoiced at the end of each month (very small amounts may be held over to the following month). However we do not make a minimum or set monthly charge; if we do not do any changes then there are no charges.